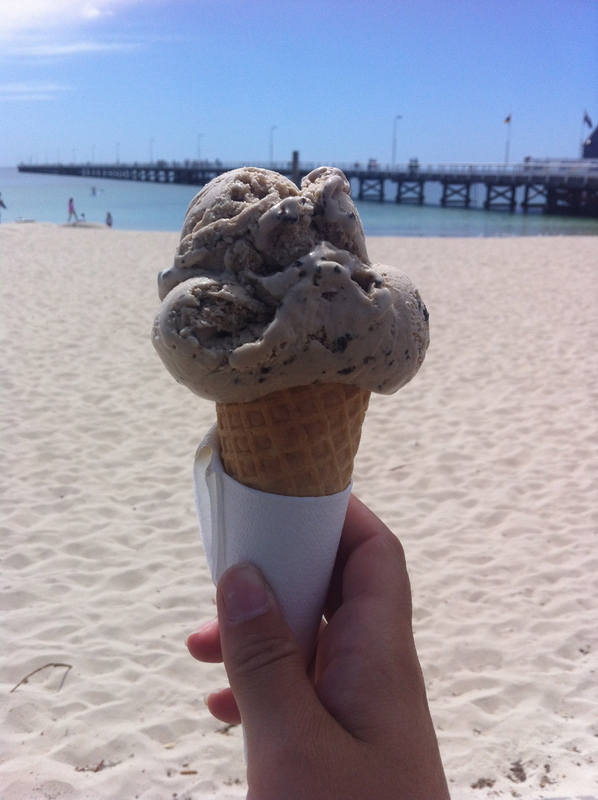 We had a great day out in Busselton. Unplanned, we turned up to find a great market in full swing. We wandered around and indulged in a watermelon slushie whilst browsing at the amazing array of bric-a-brac, fresh produce and craft items. Once we were done with the market we walked down to the foreshore. It was a bright sunny Sunday on a long weekend so there were families out in force. All the picnic shelters and barbecue areas were in use. We continued down to the famous jetty. This is the longest wooden jetty in the world. We decided to stretch our legs and walk the length, although we could have taken a ride on the mini train. At the end of the jetty is the underwater observatory. As it is a confined space they have a very strict policy about the number of people who can enter, and because it was such a busy day there were no available spaces for us on this day. Returning along the jetty we walked into town and had some lunch before returning to the foreshore and indulging in an ice-cream and some people watching in the sunshine.